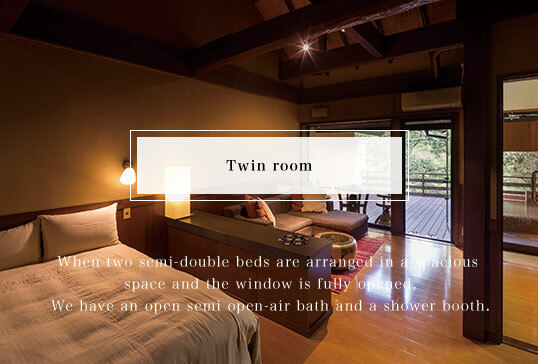 - What is Kurokawa Onsen in Kumamoto,Kyusyu like? Kurokawa Onsen is a famous hot springs town in Japan. The whole town retains the calm atmosphere of a bygone Japanese era and the streets are crowded with people enjoying a stroll. 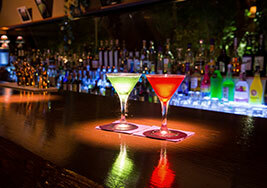 Satonoyu-Waraku is situated a short distance from the town center. 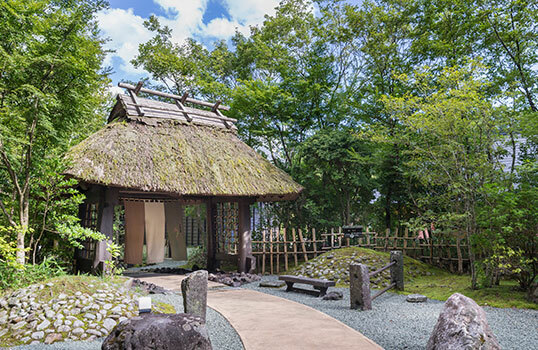 A traditional thatched-roof main gate is here to welcome you. 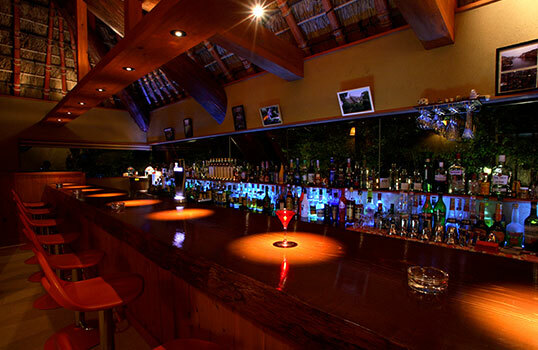 We take reservations only from those who are older than 12 years of age. 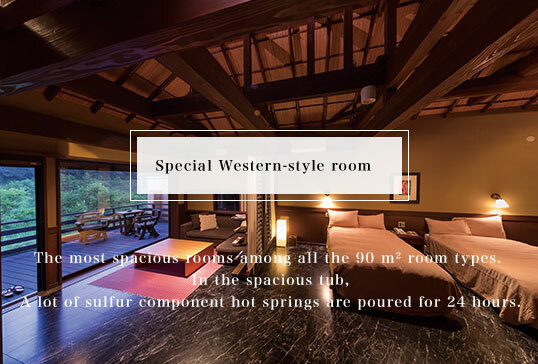 This is an inn with a calm atmosphere where you can enjoy immersing yourself in the great nature of Aso and admire the mountain scenery in each season. Our wish is to let you enjoy your time at the inn in a more leisurely manner. 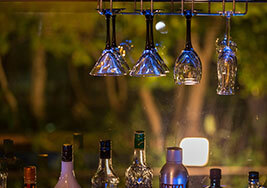 With a warm spirit of hospitality, we look forward to seeing you. Soothing hot springs where you can thoroughly relax. 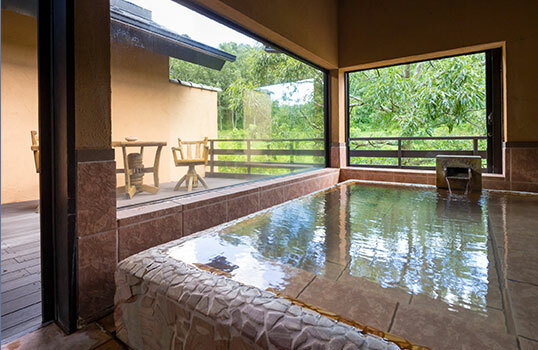 You can enjoy two different types of hot springs. 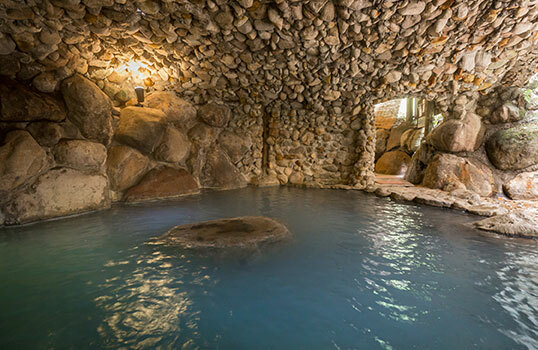 One is an open-air bath where you can relax in nature and other is a cave type of bath built with huge rocks. Surrounded by the rustle of trees, this bath is waiting for you to enjoy a most relaxing time. Do enjoy immersing yourself in the breath of nature and admire the beauty in each season. At night, you can enjoy bathing under a star-filled sky. 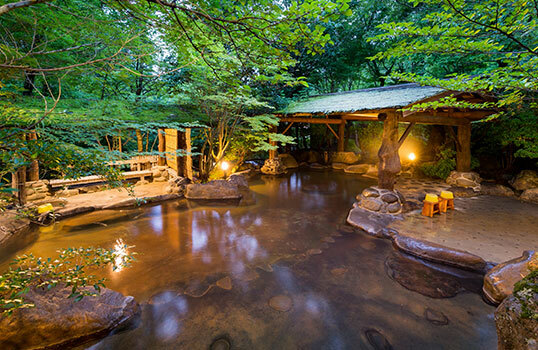 You will find this special open-air bath built with huge rocks among the trees. Do take your time when enjoying the charm of this natural hot spring by stretching your arms and legs as well as your mind. Since olden times, there has been a tradition called toji (“hot-spring cure”) in japan, which is to visit a hot spring in order to stay healthy. 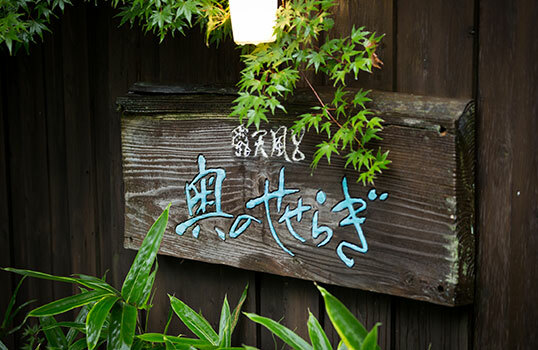 They say that the seven of the eleven types of hot springs (spring quality) can be found in Kurokawa Onsen. This is good news! 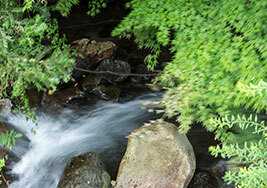 It is unusual to find such a wide variety of spring quality with in one small hot springs town. 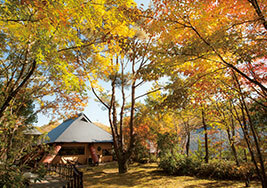 Do try visiting various hot springs to enjoy the different spring qualities. Day trip visitors are also welcome. 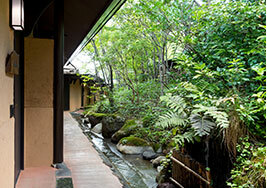 ※One open-air bath is used as a men’s bath and the other as a women’s bath. According to the time of day, the bath will be switched for your enjoyment. 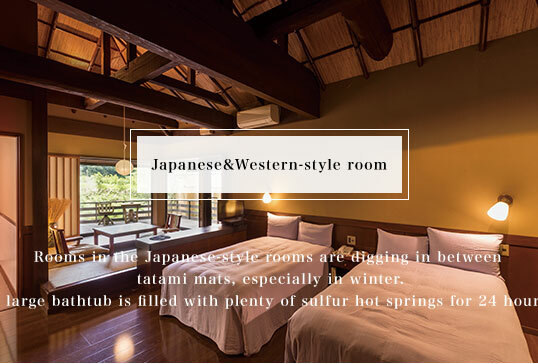 By purchasing an onsen-hopping pass,visitors can freely choose to visit up to three open-air baths situated within the 24 inns found in kurokawa Onsen.Do try to enjoy the different spring qualities. and modernity unite with each other. We designed spacious guest rooms for you to feel the flow of time at our inn which is surrounded with lush green mountains. 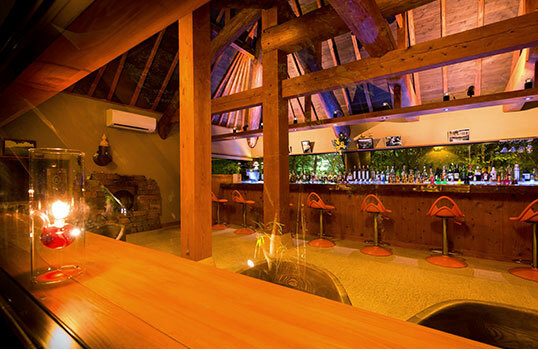 Our wish is to give you a warm welcome. All of our special bed linens are washed by hand on the premises. And our made-to-order loungewear, created from a three-layer gauze material, wraps you up nicely. All of our guest rooms come with a bath for you to enjoy the feeling of being outside. 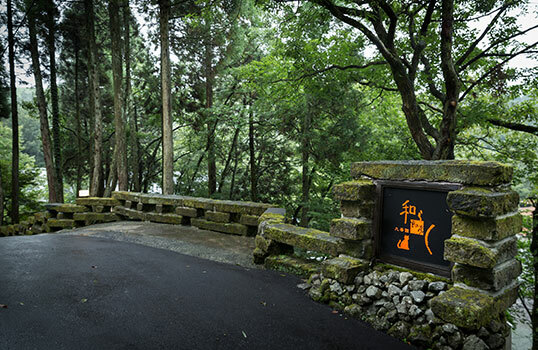 Do enjoy our splendid hot springs whenever you wish, for as long as you like. Four types of guest rooms are available to choose from. 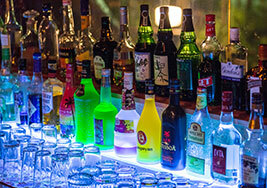 ※We operate a non-smoking policy in all rooms. (Smoking is permitted on a wood deck on the premises). Our inn is fully equipped with a floor heating system to keep you warm during the winter months. We regret that we are unable to accept pets. arranged dinner prepared in a traditional fashion. 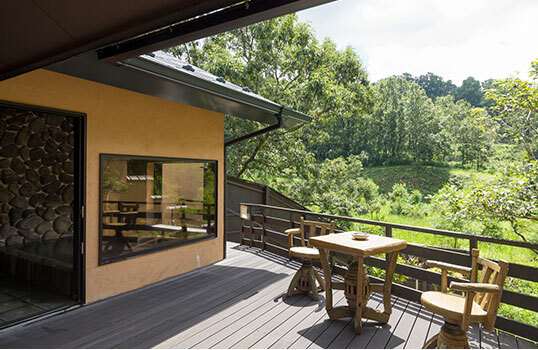 Meals are prepared in an extraordinary open-style kitchen using abundant ingredients sourced from the wonderful nature of Aso. These ingredients are pleasing to the eye and popular for the fact that they go well not only with sake but also with wine. We consider breakfast as the main source of energy for the day and the most important meal for Japanese. You can enjoy a nutritionally balanced, traditional Japanese-style breakfast. From the bottom of our hearts, we wish you a wonderful day. ※Please let us know in advance if there is any ingredient you cannot consume because of allergies or religious reasons. 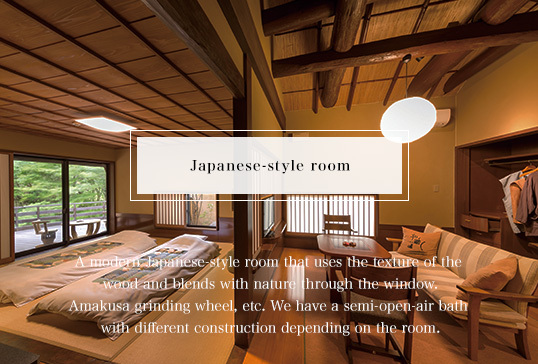 ※You may also choose to have only breakfast or an evening meal during an overnight stay. However, there are not many restaurants here in Kurokawa Onsen. For this reason, most of our visitors wish to have both breakfast and evening meals with us during an overnight stay. ※We regret that we are unable to cater to certain needs, such as vegetarian meals. From Fukuoka city (via Hita interchange), it takes two and a half hours. From Kumamoto interchange, it takes one and a half hours. From Beppu, Oita (via Yufuin interchange, Yamanami Highway), it takes one and a half hours. by bus using an airport bus stop. Please bear in mind that numbers of flights and buses are limited. ※Please inform us of your plans by the day before your arrival. Please let us know your arrival time in advance. COPYRIGHTS © SATONOYU WARAKU ALL RIGHTS RESERVED.